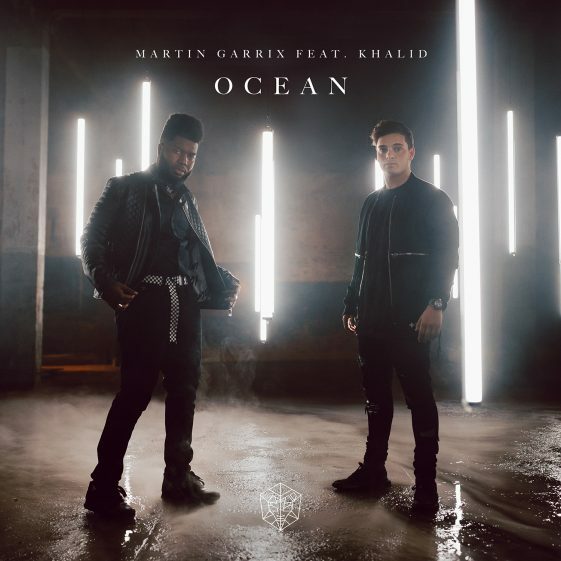 [New York – June 15, 2018] Today, Martin Garrix and Khalid release their highly anticipated collaboration “Ocean” via STMPD RCRDS/Sony Music International/RCA Records. The pair first teased a collaboration in a series of tweets in October. Click here to watch. Produced by Garrix, the track features beautiful melodies and live strings, spotlighting Khalid’s phenomenal vocal delivery, making for a fantastic first collaboration for these two RCA labelmates. The track is accompanied by an official music video starring both Martin Garrix and Khalid. The storyline sees Khalid narrating Garrix’s physical and emotional journey of life, translated into a visually kinetic world of lights and shadows. The essence of this story is perfectly captured by the kaleidoscopic visual. Martin Garrix has risen to global stardom in pop as well as electronic circles. Dance music’s freshest talent has headlined festivals around the globe, founded a label and mentored other artists and won the #1 spot in DJ Mag’s Top 100 twice. His passion, ambition, drive and maturity remain unmatched in the world. “Animals” released June, 2013 was a breakout success and a game changer for the music industry. Reaching No.1 in the UK and many other territories, it proved that a hard-hitting dancefloor-oriented track could reach pop status, ultimately reaching over a billion streams across several platforms. The five years since have been marked by a quick march through the ranks of dance music, conquering stages all around the world and releasing more breakout hits including “In The Name Of Love” with Bebe Rexha, the highly acclaimed “Scared To Be Lonely” which became Dua Lipa’s breakthrough song, “There For You’” with Troye Sivan and “So Far Away” with David Guetta, featuring Jamie Scott & Romy Dya. Garrix’ musical achievements have not gone unnoticed. He was awarded with two MTV EMAs in 2016, holding the #1 spot in the 2017 DJ Mag Top 100, a ‘Man of Today’ accolade from British GQ, a spot among Forbes’ ’30 Under 30’ and another at Billboard’s ‘EDM Power Players’. Last but not least, he performed on The Tonight Show Starring Jimmy Fallon twice, Looking at 2018, the Dutch superstar is set to continue his winning streak. He kicked off the year with a performance at the Winter Olympics Closing Ceremony in Pyeongchang, Korea and with STMPD RCRDS now firmly established, he has free range to do exactly what he loves most: making music.